All of them are just wheels and a drop, right? Where’s the challenge in that? Where’s the creativity and craftsmanship? I’ve probably lost count of how many times the above has been asked both online and in person. Fair enough, it says more about the person posing the one-sided questions than it does the Volkswagen scene, but I can sort of see through their opinionated judgments and almost appreciate where they’re coming from. There are few automotive communities in the world that can rival the VW guys and girls when it comes to subtlety. As such, it can often appear to the untrained eye that what they’re looking it isn’t much more than just wheels and low. Despite regularly shooting, writing about them, and even owning one, these cues often escape me too. I’ve been shown things so subtle that the only person that knows they exist is the creator. 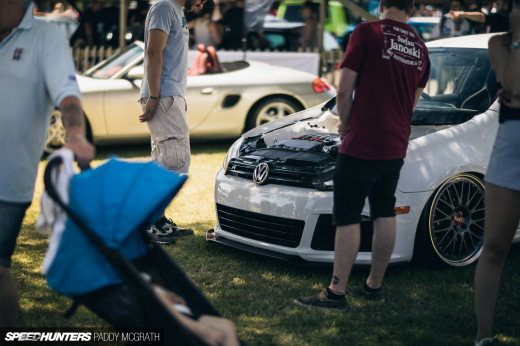 Many people criticise the VW scene as being all about the show, but I don’t think that’s fair either. If there’s one thing that I do know about the people involved in this community, it’s that their main concern is to create things for themselves. Sometimes these builds fit within a certain trend, sometimes they don’t. Others are so wild that they can cause quite an upset; but this is there intention, to force you to think and re-evaluate what you thought you knew. 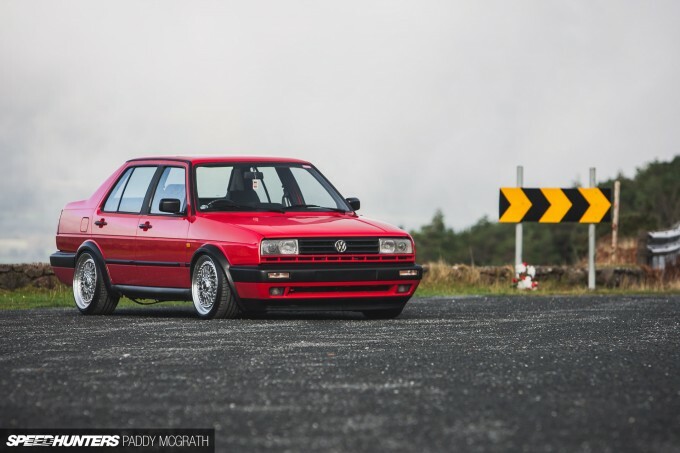 The MkII Jetta is another one of those cars, that in stock form, a lot of people overlook. Their rudimentary design is hardly inspiring or on par with some of the great four-wheeled automotive forms of all time, but yet some people look at this and see untold potential. TJ Carroll is one of these people, and he’s spent the last four years turning possibilities into reality. 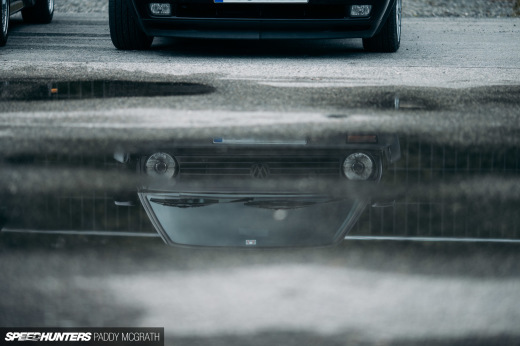 Those with a keen eye for Volkswagens might have already noticed some of the more obvious changes that TJ has made. 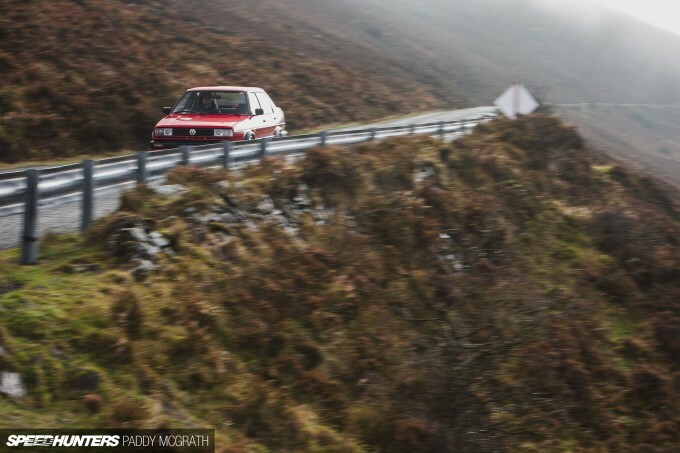 Starting at the front, a Rallye Golf front end has replaced the Jetta’s original nose. TJ actually acquired everything to complete this conversion, but the passenger-side headlight was damaged. He did secure a replacement, but it was at a cost so significant that for the sake of his marriage I’m not going to share it publicly. 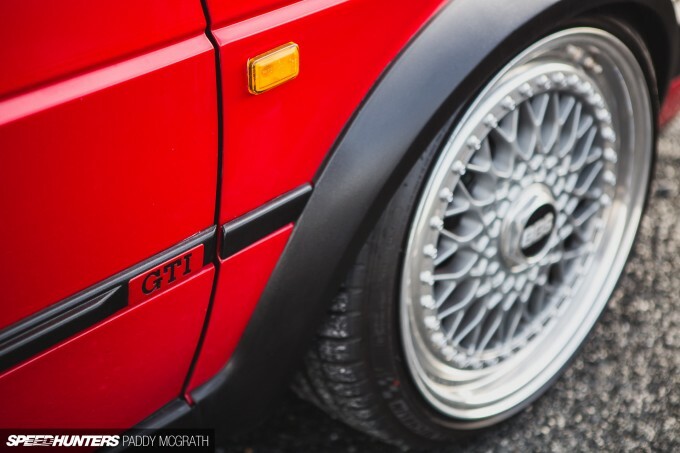 The G60 arches front and rear are another subtle addition that compliment the car’s simple shape. There’s no revolution here, just small hints of evolution. The rear tub has been converted to US-spec also. As an aside, I always find it interesting how US owners will try to convert to Euro specification and vice versa. Perhaps we can establish some sort of international barter system? 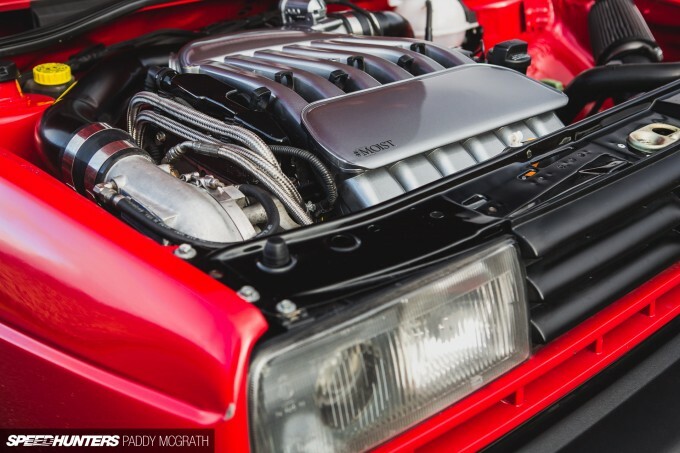 Probably the biggest selling point of this particular build is the VR6 engine conversion. 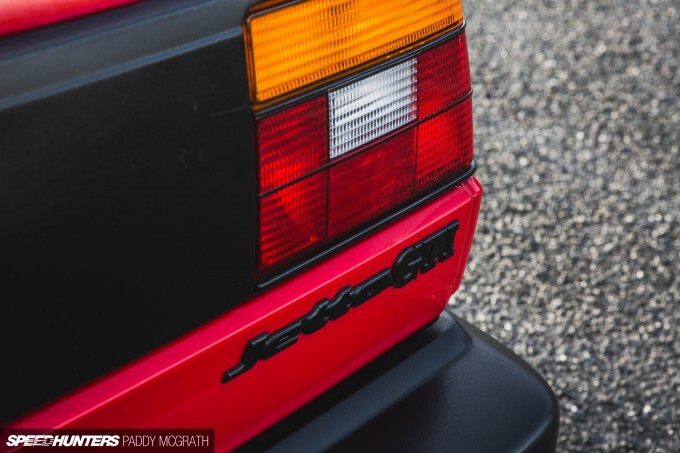 Using the later (and Europe-only) 2.8-litre 24-valve variant provided a better base engine to add boost to. In stock form, the Type-AUE VR6 makes around 201hp naturally aspirated. 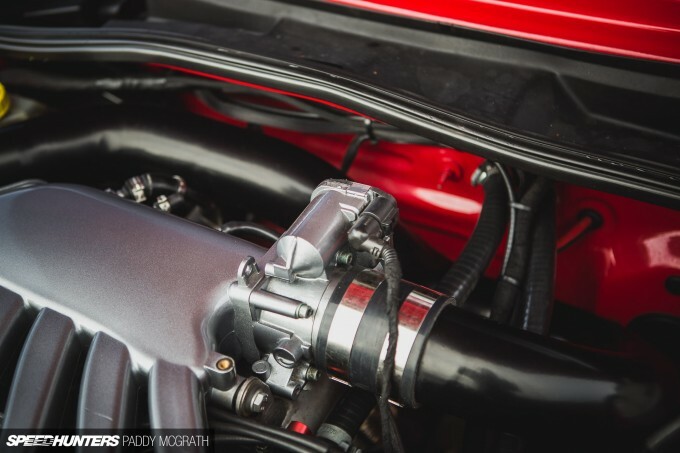 With the Vortech supercharger installed – into an extraordinarily tight space it must be added – the engine is able to produce around 290hp at the wheels on 8psi boost pressure. However, it’s the little things that you might not recognise immediately that have added to the intricacy of this build. 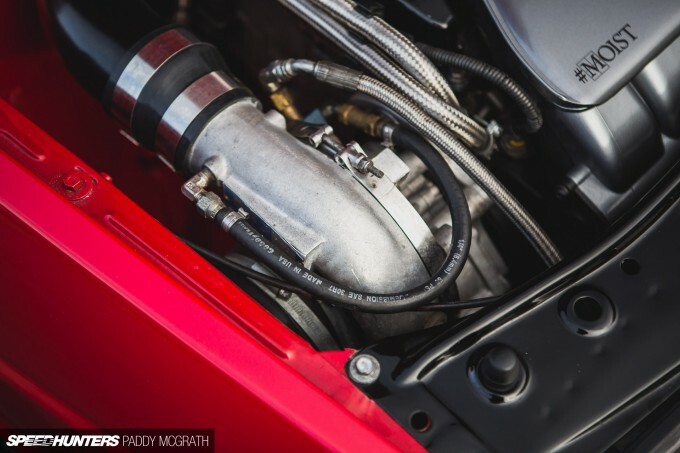 The 3-inch intake pipe was custom made by TJ’s father at home, before TJ put several hours of his life into smoothing the welds and powder-coating it. 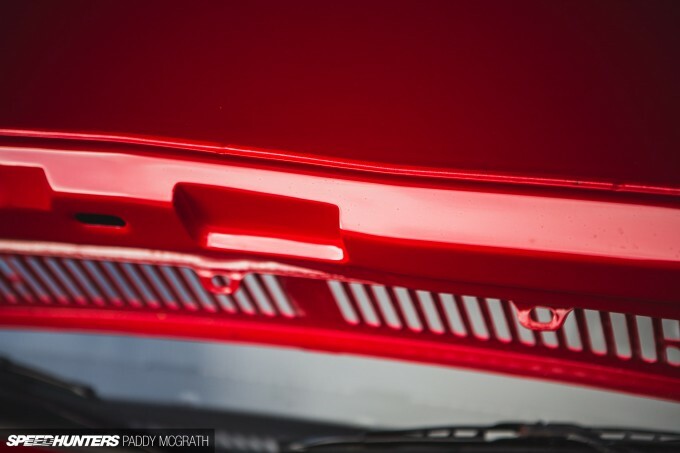 The underside of the bonnet provides even more of these fascinating details. Take these custom notches for example, which could easily pass for factory. 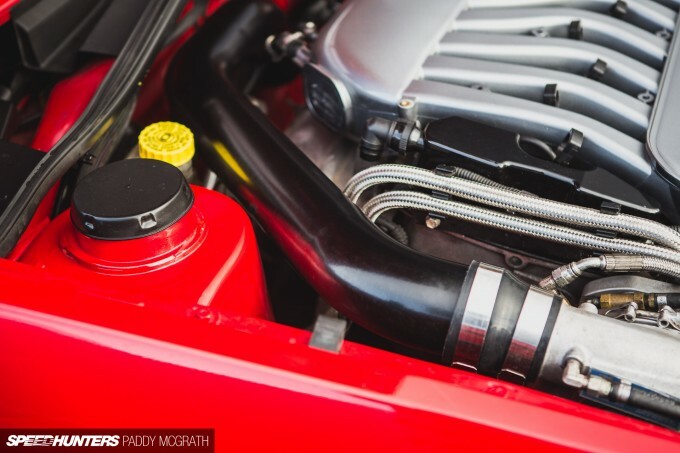 This one in particular allows the bonnet to close without fouling the throttle body. 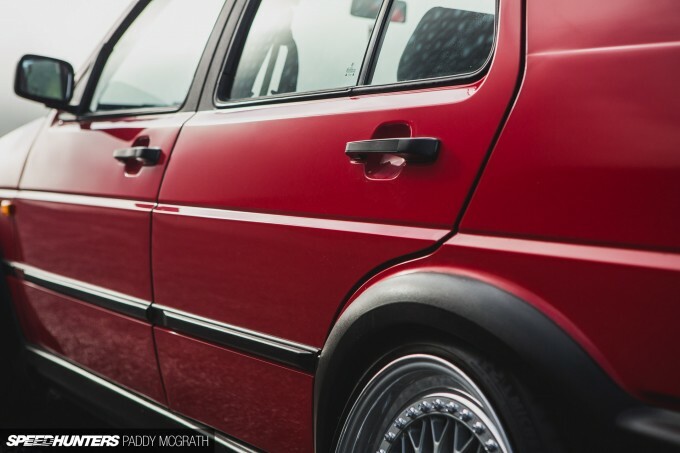 All of this work is in place just to make it look like no modifications have been made, and that the VR6 could have been there from the factory. I know some might prefer to draw attention to these sorts of details and to show off their custom fabrication, but you have to appreciate someone going through these lengths to disguise it. The subtleties continue inside too, as what could pass as stock is anything but. 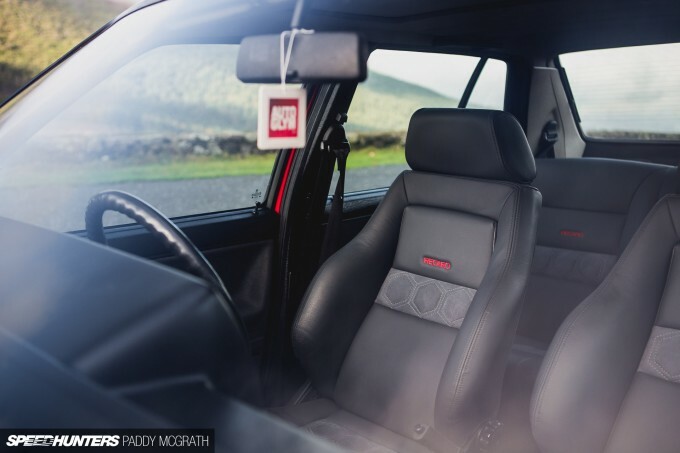 A full US-spec Recaro interior has been sourced from a Jetta GLI and imported across the Atlantic. The seats were then completely custom re-trimmed in original Volkswagen grey leather with red detailing before being installed. 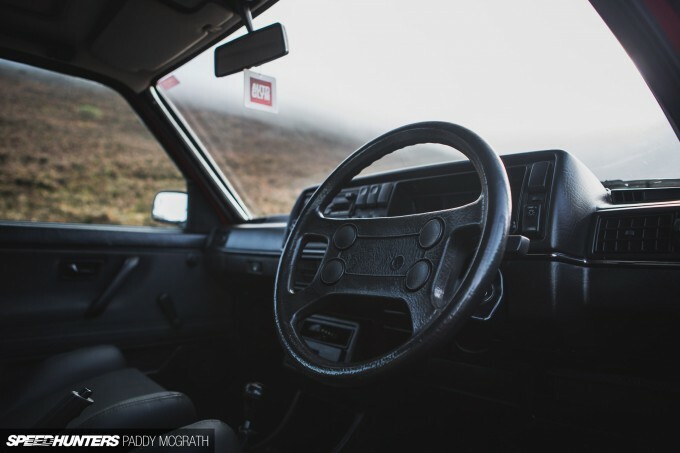 A MkII GTI steering wheel replaces the factory item. 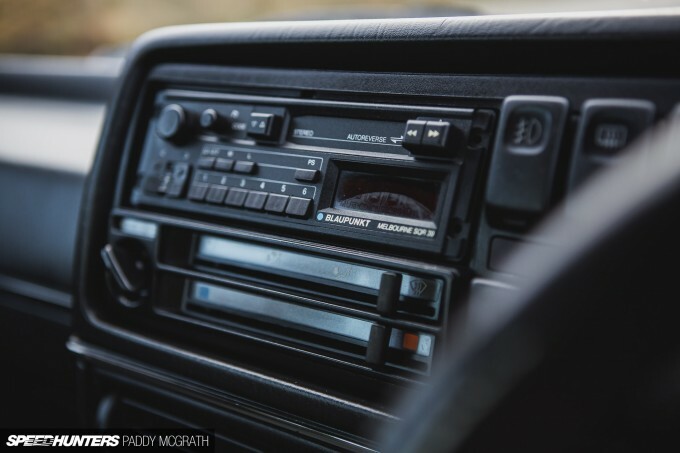 The factory Blaupunkt cassette radio does remain, although a Bluetooth media player has been hidden out of sight. It’s difficult to put my finger on why, but it’s just so right in here. 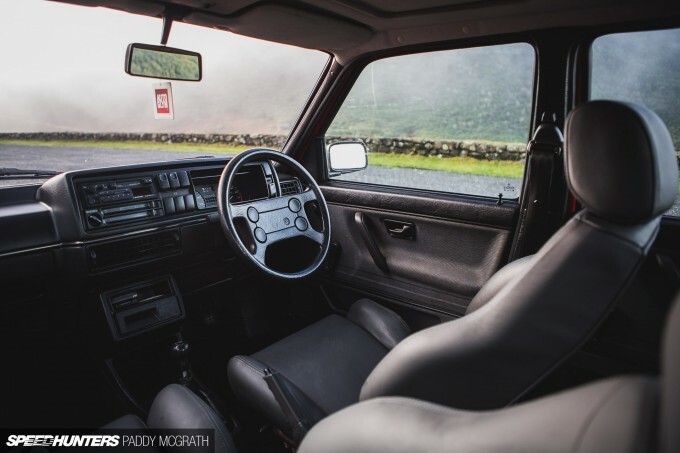 I guess in a world where nearly every interior we see is either stripped or has aftermarket bucket seats, a clean, factory-looking interior is a breath of fresh air. It doesn’t stop here either as TJ is already working on revamping the car over the winter months. 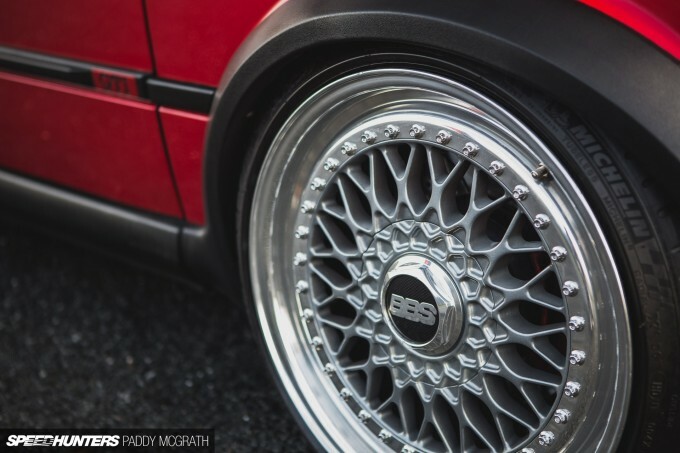 The Jetta’s gorgeous 17-inch BBS RS wheels have already been removed and sold since the shoot, which was only a week ago. TJ believes in logical progression and I’m interested in seeing where he goes next with this. This is most certainly a build that is more than the sum of its parts. 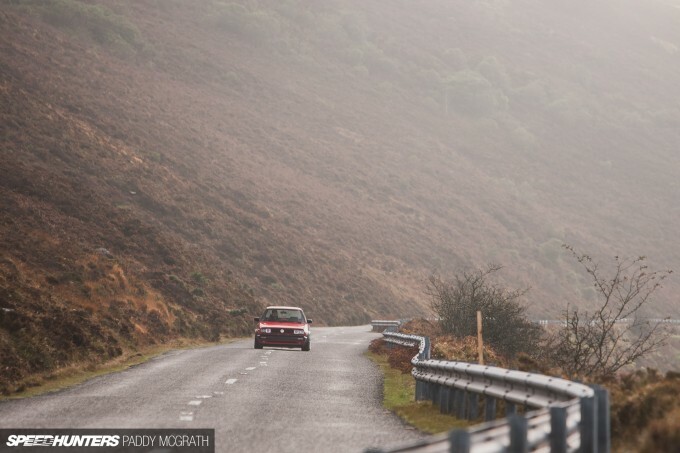 It also continues quite nicely from where I left off with Evan’s EP70 Starlet last week, in that it’s a humble build that relies more on thought and ingenuity than a massive budget. 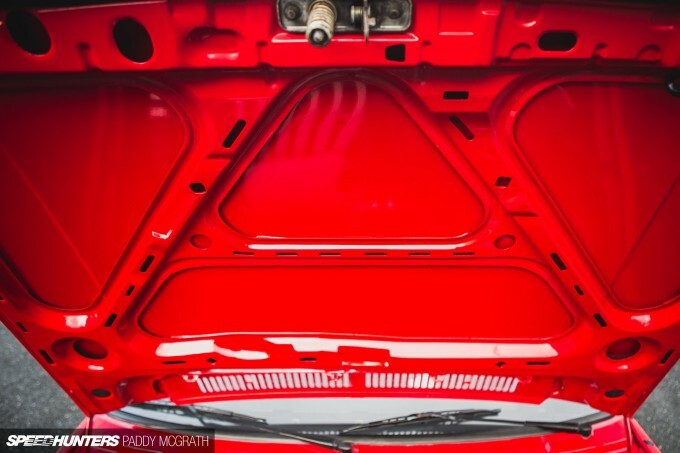 I quite enjoy the fact that I can look at what TJ has done, and if I wanted I could possibly incorporate some of what he has done into my own car, despite there being nearly two decades between them. 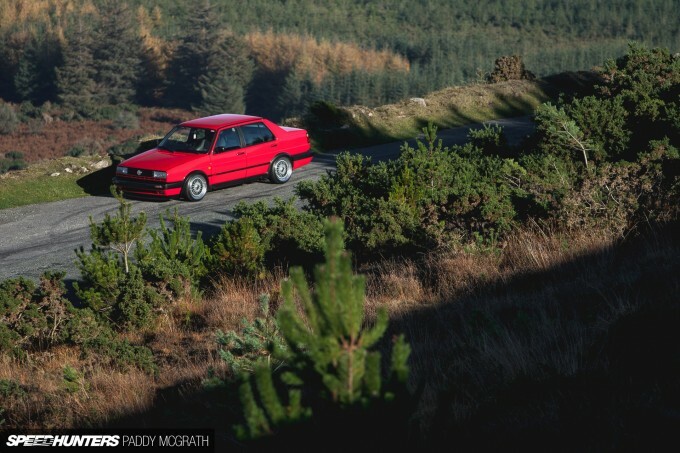 With the fog lifting and an unseasonal sunshine settling over the Tipperary countryside, it was time to call it a day and let TJ get back on the road. 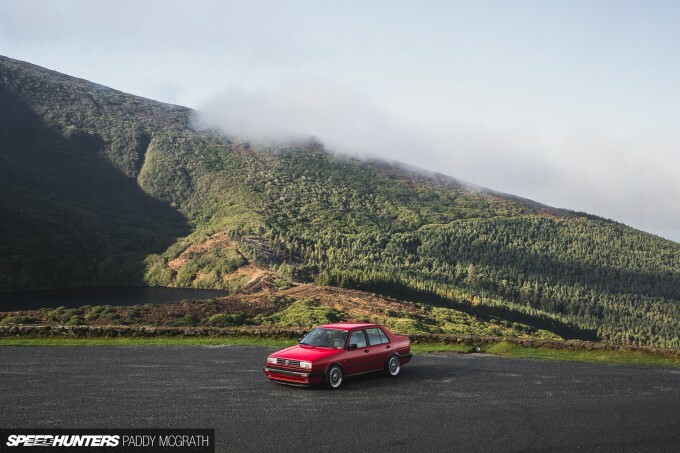 Listening to the distinctive VR6-engined Jetta make its way back down the mountain, I was left to reflect on how understated the car is, considering its impressive performance. 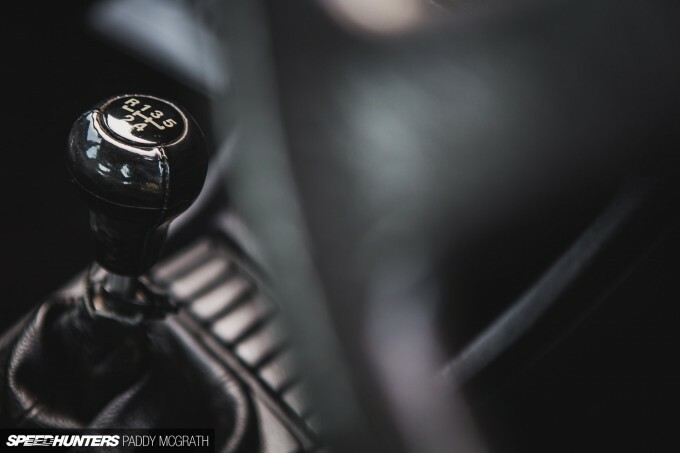 Discreet is probably the word I would use to describe the car best – a car that rewards curiosity. Maybe you meant a specific version or something, but we got the 201 hp 2.8 24V in the States also, in the GLI and GTI for just a short while. great article again, and i´m loving the video thing. just to see a car rolling a little and its sound improves the experience dramatically. MCG this is beautiful. man I like your style. All of them are just wheels and a drop, right? Where’s the challenge in that? Where’s the creativity and craftsmanship?" And not jacked up camber or set of bags to offend the eye. This one is tops in my book! Tip of the cap to the builder/owner, awesome stuff. 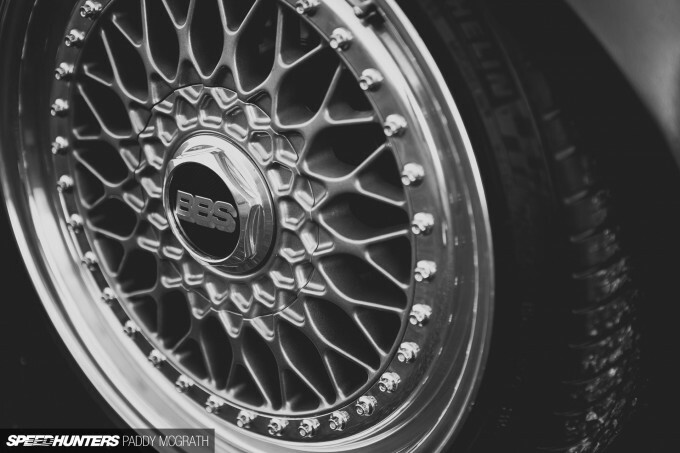 Any European classic can be great looking by just simply putting on a set of TIMELESS BBS RS's. 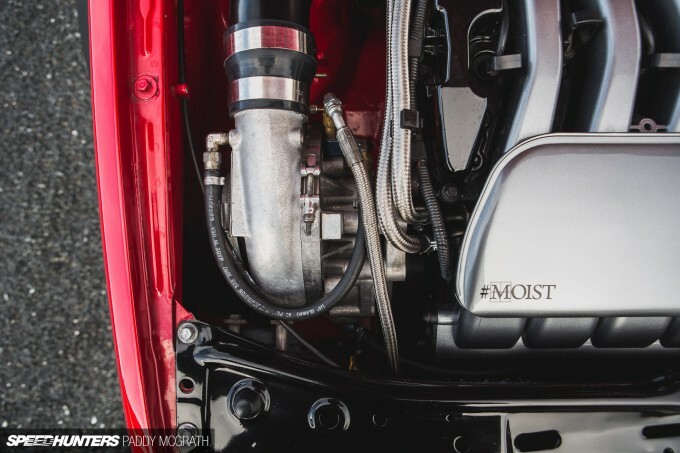 This car is hella moist. 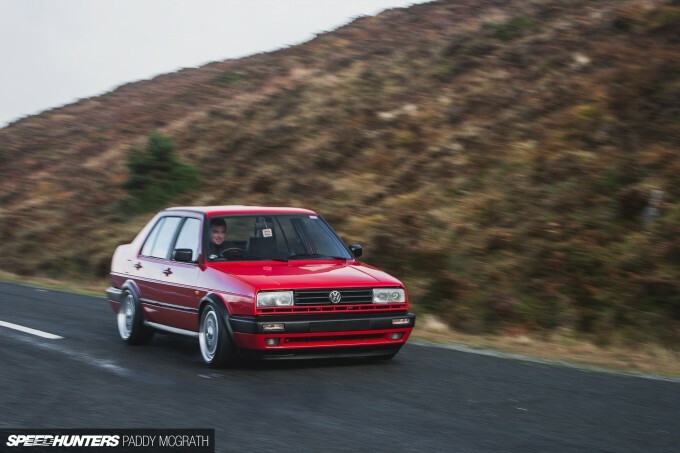 I don't remember the last time i saw a mkii jetta featured on here. Maybe that 4wd one from years back. abezzegh87 I have to agree with you to be honest. 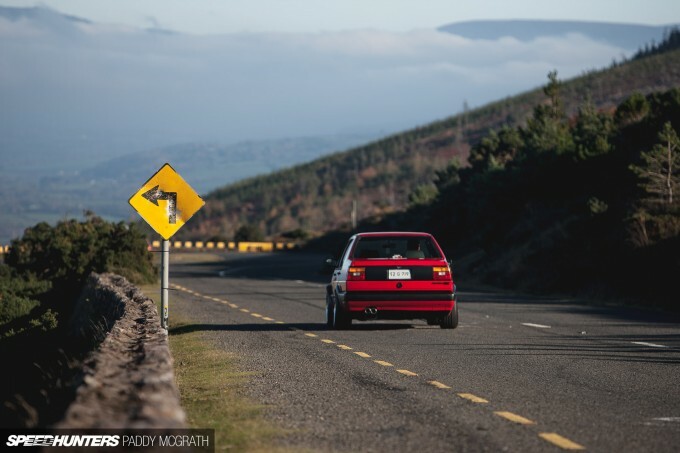 At least from a non VW-enthusiast's point of view (nothing wrong with VWs, fun to drive, great cars, just never been an owner), it does seem like a very basic and boring formula for most cars. I guess it's one of those things though, you don't notice the small things if you're not super into the subject matter. ChristopherAnderson1 The type AUE? Pretty sure that was only available in 4WD European models. Peter_Kelly abezzegh87 I was actually talking to TJ about this and the influx of the 'air & wheels' people into the VW scene. TJ's a bit old school so thought he might hate them, but it's quite the opposite. He sees them as newcomers and is quite open in welcoming them. It might be air & wheels this year, but it could be something more substantial further down the line. It's a great attitude to have, IMO. MikelElvira He has a MOMO aftermarket wheel, but just prefers the GTI wheel. LarryKehoe I'm sworn to secrecy for his future plans! Paddy McGrath Peter_Kelly abezzegh87 Near where I live in the UK there is an emerging scene of VW Lupo's bought by young drivers (cheap insurance) that are being dropped with stretched tyres and large camber. They look quite silly but at the same time I look at the big picture and think - I much prefer these than those chavved up Citroen Saxo's, Peugeot 106's etc.. Thanks for all the comments! Nice to see people appreciate it! 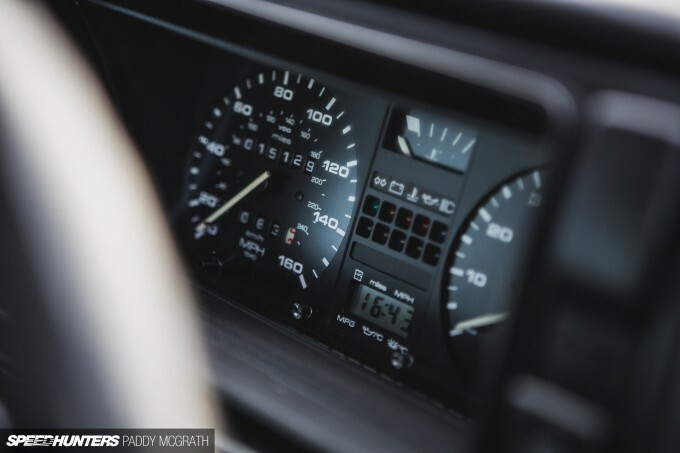 S30_N Paddy McGrath Peter_Kelly abezzegh87 We all had our first cars which were probably less than perfect, but it's great to have newcomers to our community. It's all about setting a positive example and being more welcoming for guys and girls who are just starting out. I like this design. Must be pretty fast. It definitely is unique. 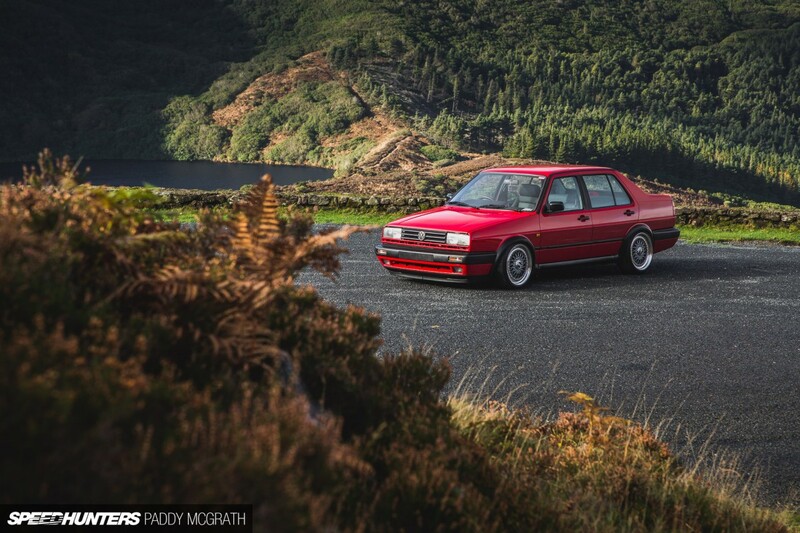 Great feature and photos, Andy Smiths US Jetta would be a nice car to do a feature on! 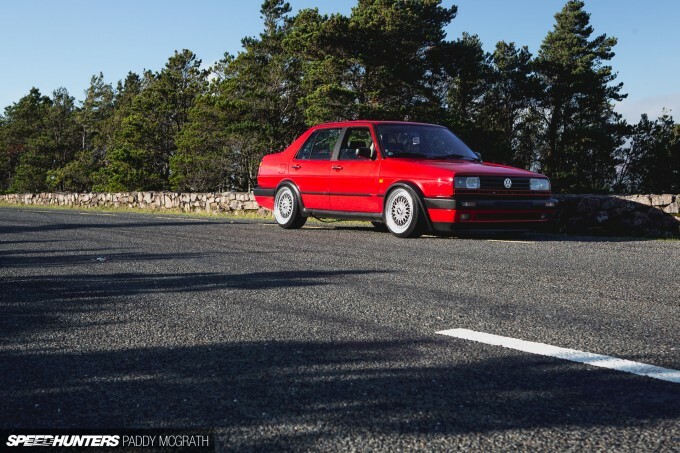 Lovely car,total perfection,i used to have a rust free mint alpine white 1991 2.9 vr6 jetta with scrick cams etc which i really regret selling,it was stock looking too apart from oz super t's and a corretta badge on the back. Umm, how do you get the black exterior plastics so black?! Stupid question but I have been scouring forums for months and nothing looks this good! As a VW lover and owner I've got to admit that this is one of the best looking Jetta I've ever seen. 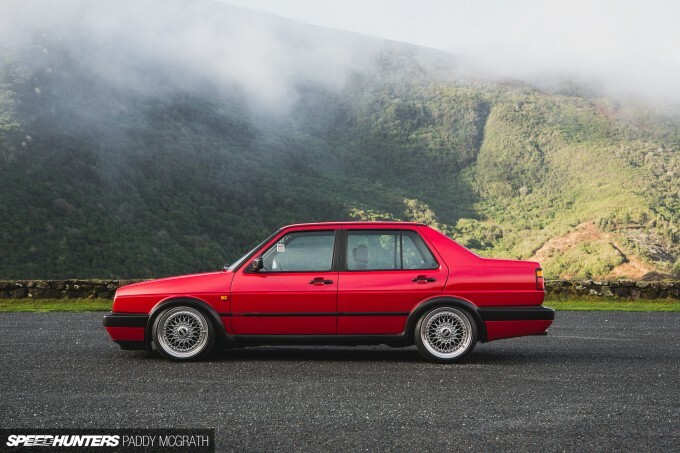 I really like the fact that you incorporated the G60 wheel arches into the Jetta, as said in the article is one of those thing that you don't notice if you're not into MK2's. 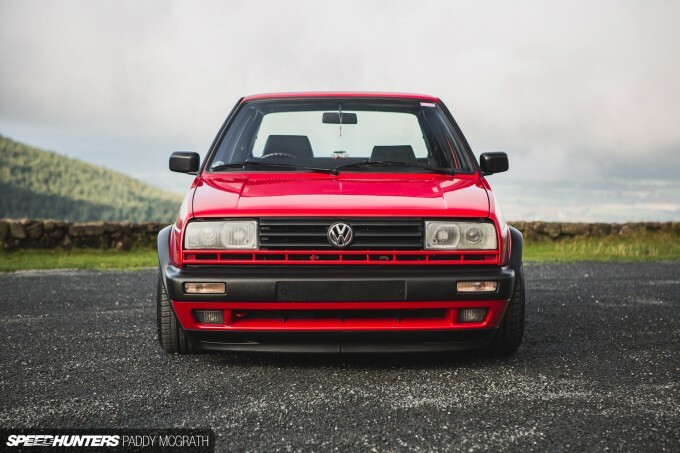 I also love the Rallye front I believe it looks even better on a Jetta. I can imagine the price on one of those headlights. I've seen them go for more that 500 euros each. I wish you the best luck and keep us posted on the car evolution. this is my actual project car! hope to see it in this pages one day! 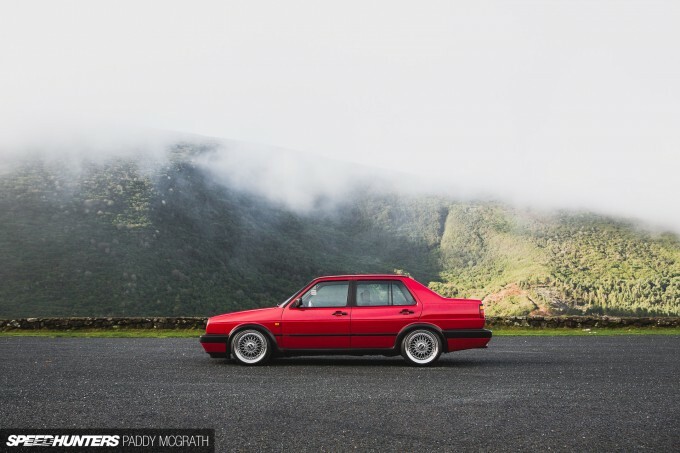 This car definitely hits home, I remember sitting in the backseat of my dad's old blue MKII with blue interior. Definitely one of the coolest and most understated cars made by VW in my opinion. On another note, I love the attention to detail, TJ's OCD manner is a lot like my own. NYporkdept It's a stock 2.8 liter VR6 intake manifold. Great car. Speedhunters should do more videos like this on the cars they review. Great work! mine was bad enough with only 225 and no diff. Use a heat gun, VERY carefully.. 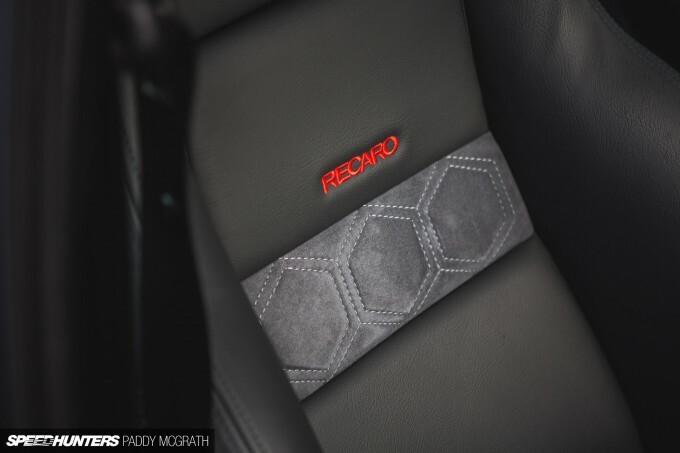 This worked absolute wonders on my VR6 MK2 GTi. If done properly, the plastics will look brand new and won't fade nearly as quickly as when using something like Meguiars Back to Black. 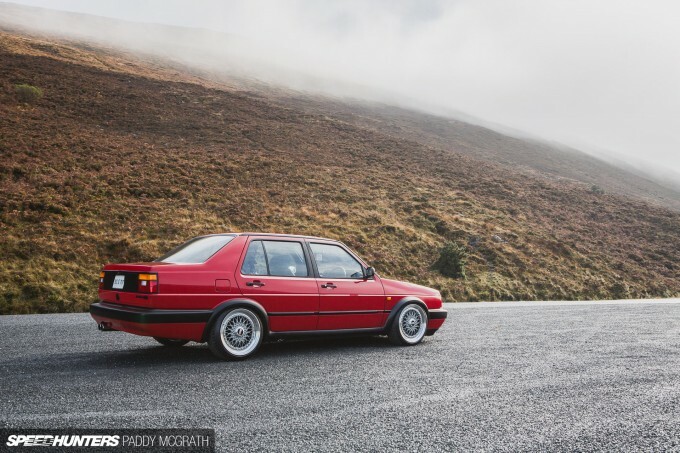 SO stoked to see a nice MK2 features on SH. 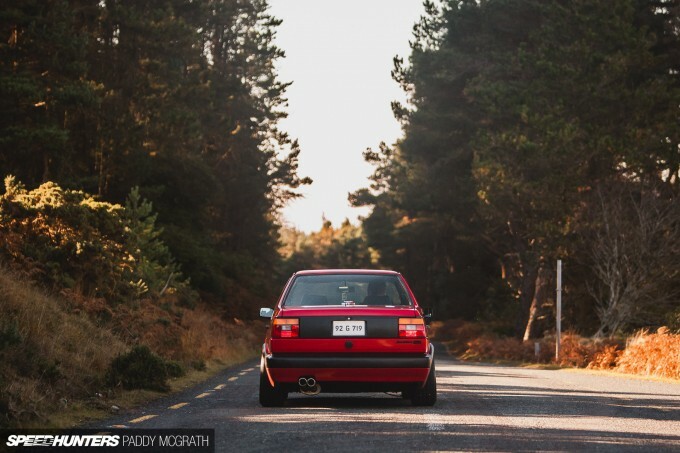 This makes me miss my red MK2 GTi Vr6 even more than ever.. I loved that car more than any I've owned, and will definitely be building another one in the near future. As for the Rallye headlights, I am loving the look on this Jetta. I had a set of them as well and nearly cried when some idiot hit my car and ruined them. Ekoumvak I'll try it on an inconspicuous bit - thanks! 300 lb/ft of torque? That thing yanks real nice through those hills, I bet! Option86 Sounded awesome driving behind him to the location. Awesome!!! It's such a good looking car. 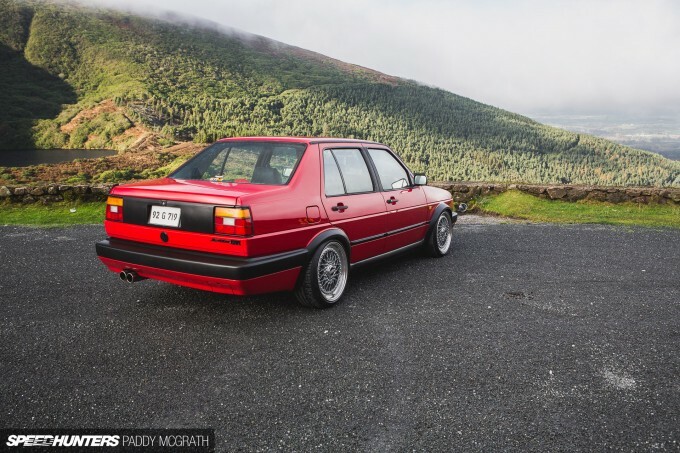 I like what they do to Volkswagen Golfs and the like, and its such a good look - BBS and old german whip - but yes it is played out. What he's done is done it to a car that is abit out of the norm and proven that it works, with a bit of extra oomph for your troubles. It works because hes added a few personal touches IMO. But anyway wouldn't painting the black trim do as good as using a heat gun on the plastics? 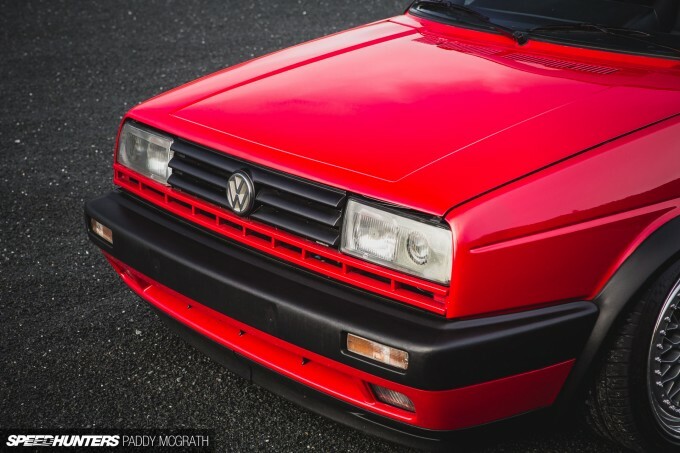 I have a red VW and its pretty safe to say most people would rather turbo an 1.8 8v engine, than to rework it and make it shine. 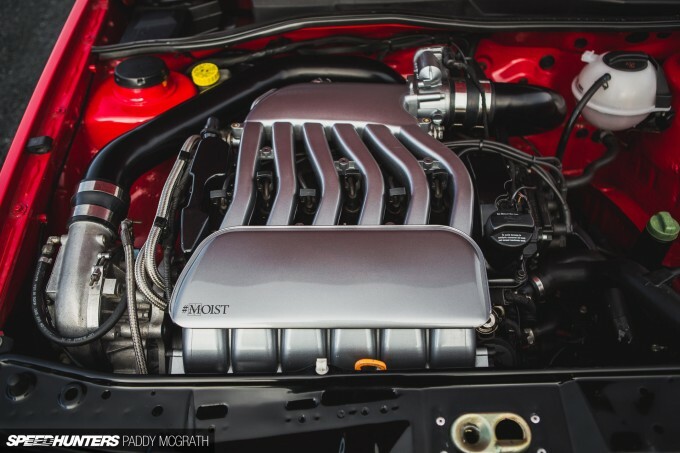 In fact, it is pretty rare for a VW owner to swap engines. Probably because our brazilian VWs have longitudinal mounted engines. In any case, I will one day stick an RS2 engine to my Gol GTS. Thoughts as I scroll down..
1. That's a nice Jetta. 2. I've never seen the Vee look so good. 4. "He did secure a replacement, but it was at a cost so significant that for the sake of his marriage I’m not going to share it publicly." 5. Blaupunkt Melbourne. Jaysus, it's been years! 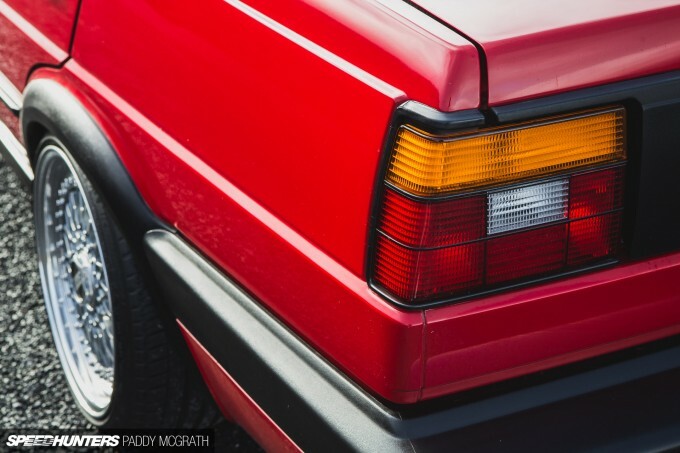 If it wasn't for the Volkswagen crowd, a lot of trends and fads wouldn't exist today. This build and its overall theme is just amazing! I am glad to see an appreciation for subtlety because it seems to always a common trait amongst quality builds.